This quote reflects on those stormy moments we have in life. We can learn from them, or we can fall. 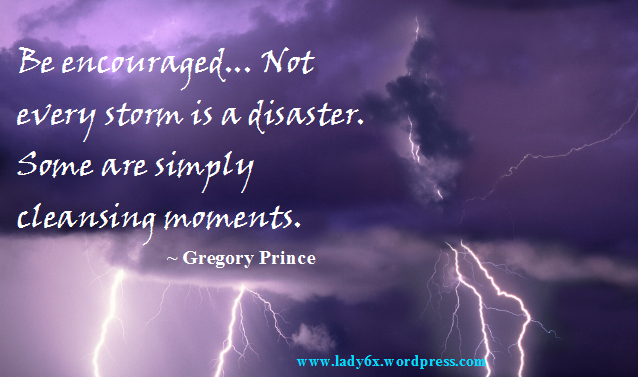 Inspiring words from my spiritual mentor, Gregory Prince.